It is wonderful to be with you here, as well, in all these times that we can share. And as I have spoken to this group before where we have shared many experiences previously, some long time ago in your understanding of time but in the new understanding of time it was only a moment ago. And we are going to be here again together. 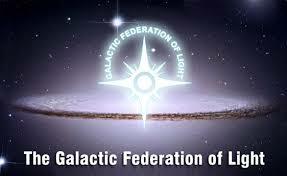 I, representing the Galactics now. Those of us that are here to assist in our many different ways with our ships preparing being ready to amplify the energies as they come through into this planet, into your consciousness as a collective. We are all here ready, willing, and waiting for that moment to be given, that signal to be given, the green light if you will. Because when that green light has been given — and it is only steps away now for that — when that green light is given we will all move into action finally freed from the binds that have held us back because of the Prime Directive where we cannot interfere unless it is asked for directly or unless it is important that we do so in that moment. This entry was posted in Channelings, Disclosure. Bookmark the permalink.